We all have places where we love to eat. They feel like home to us as we order the same few items or variations thereof. For some folks, fast-casual restaurants (Panera Bread, for example) are a favorite restaurant. Others fly a little higher, preferring restaurants at the Olive Garden or Red Lobster level. But, whether your favorite restaurant is Bonefish Grill at one end or McDonald’s on the other, it is always nice to try somewhere new. Around this time every year, the stats on restaurant patronage come out, showing us the dining establishments that gained, or lost, customers in the last 12 months. Here are our recommendations for new places to try among the hot and growing restaurants in the U.S.
We’ve had steak burgers from places named after them. We have enjoyed frozen custard, as well. But, to our knowledge, Freddie’s is the only dining establishment specializing in both! Thirty-two states have at least one Freddie’s (Texas, Oklahoma, and Kansas have many more) and they are expanding aggressively into new territories. Northern California-born Black Bear Diner is not yet available to the eastern half of the country, but that won’t be true for long. Think better-than-average food all day, and an excellent reputation for breakfast! Top Ten among fastest-growing chains is just the beginning. Some restaurants on our list are in just a few locations on the national map. That isn’t the case with TSC. They are already in 45 states but intend to expand operations in every one of them. Also, don’t let the name fool you into going somewhere else for lunch. Tropical Smoothie is the place to go for a quick and delicious Cuban sandwich. Fuzzy’s is not lacking in confidence in its quest to become your new favorite restaurant. If there was an award for best name on the list, Gildshire votes for Fuzzy’s. (See, it’s just fun to say!) To date, only nine states (Texas, Colorado, Oklahoma, Missouri, Kansas, Georgia, Arizona, Louisiana, and Nebraska) enjoy Fuzzy’s, but that is about to change. This year, Fuzzy’s plans to open several outlets in Florida alone. After that, the sky’s the limit. This decade has not been kind to the casual dining segment, but Cooper’s Hawk bucks the trendline. Perhaps, the extensive wine list is the thing that sets it apart. Nine states (midwest and south, for the most part) have Cooper’s Hawk, but that number will grow in the next few years. Everyone loves good rags to riches favorite restaurant stories, and Shake Shack’s may be the best one. From humble beginnings as a hot dog cart in Madison Square Park, Shake Shack became a burger-lovers favorite, as long as the burger-lover lived in the Five Boroughs. Now, residents of 27 states can enjoy what some feel is the best burger they have ever tasted. With an aggressive expansion strategy which means more goodness to more people in more places. Savory words to Gildshire’s ears. The expansion winner is Mod Pizza. 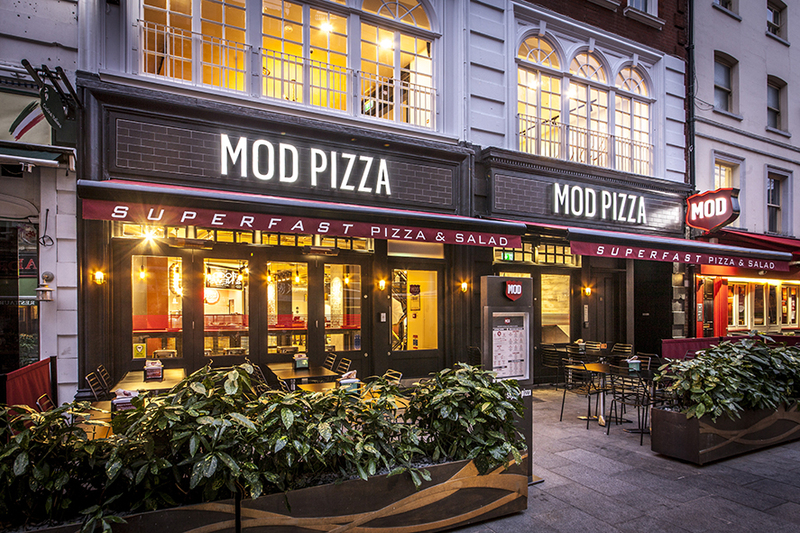 One of the earliest wood-fired pizza franchises in the country, Mod is taking the gospel of wood to more places than ever this year. Twenty-eight states include a Mod, with many more across the pond. By the end of 2020, expect those numbers to swell impressively, both here and abroad. Are any of these a favorite restaurant of yours? If you haven’t tried any of them what is your excitement level, from one to overheated? Yup, ours too?